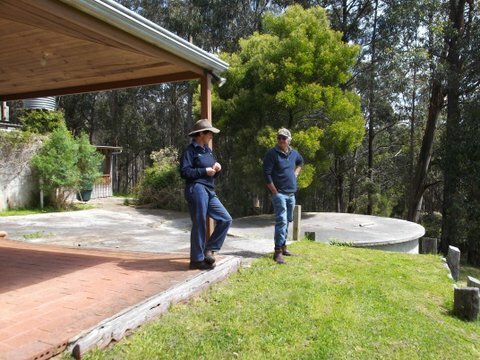 On Sunday 14 October a BBP day was held at John's property, Brinbeal. Some 70 plus plants were indentified with several still to be identified. 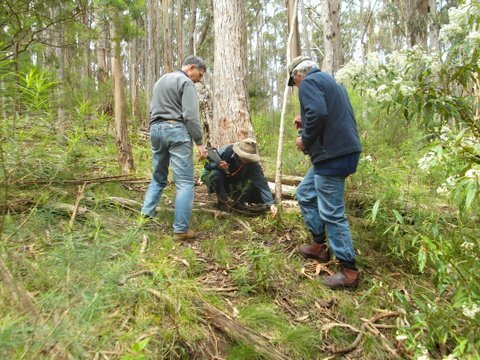 The property is split by a gully and the plant growth on the East facing side of the gully is noticeably different to that on the West facing side. The plant ID was followed by a BBQ and planning meeting on John's front verandah. John, Jenny and Dallas ponder the identification of a small herbaceous plant. 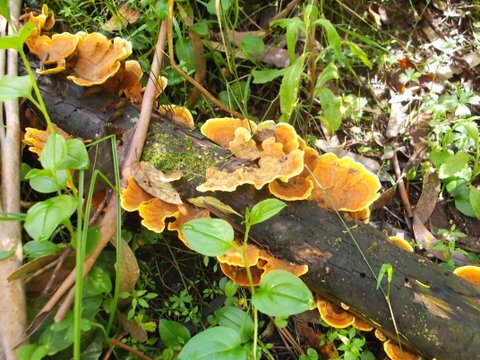 Some fungi encountered along the way. Jenny and Dallas discussing ??? whilst waiting for the BBQ to cook.